View More In Door Levers. This door lock is great for bedrooms, closets, storage rooms, and many other interior doors throughout your home. No need to carry keys, share keys, or make extra copies of keys. Simply add and delete codes as needed. You will wonder why you didnt buy a keyless door lock sooner. 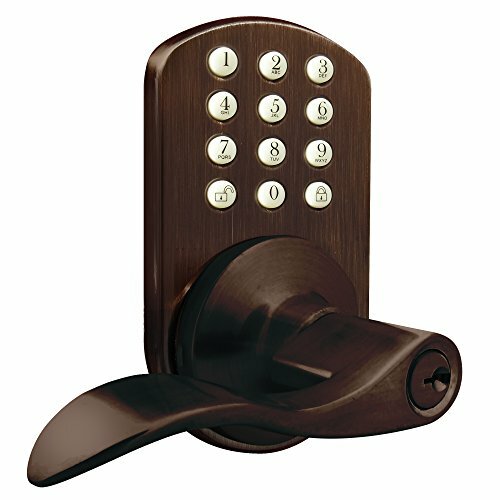 Most importantly, this lock is a direct replacement for most door knobs and lever handles on standard door prep. The latch is adjustable to make sure it fits the widest range of applications. No handy man required, installation is just as easy as any other lock. If you run into any issues the MiLocks support team is available to help at 909-869-0552, located just outside of Los Angeles, CA. If you have any questions about this product by MiLocks, contact us by completing and submitting the form below. If you are looking for a specif part number, please include it with your message.